HDMI vs DVI What's The Difference? 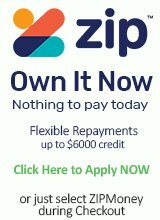 HDMI is only a "standard", it is not the "best" connection available. DVI is generally superior and our preferred connection to a computer monitor. 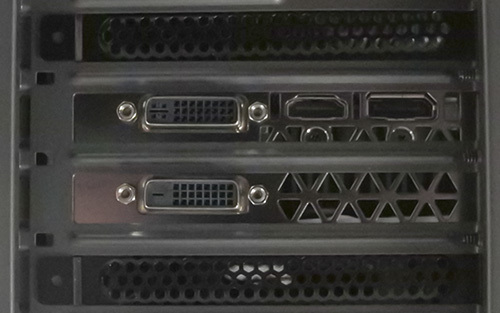 Above is a picture of the common outputs on the GTX 970 graphics card. HDMI 2.0 increases the maximum TMDS per channel throughput to 6 Gbit/s. This enables HDMI 2.0 to carry 4K resolution at 60 FPS. 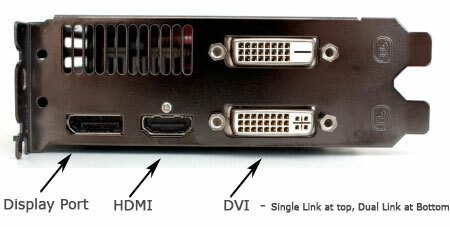 DVI (Dual Link) is digital and has a maximum resolution of 2560 x 1600 with the Audio signal being optional. Single link DVI has a maximum resolution of 1920 x 1080. Display Port v1.3 is digital and has a resolution of 3840 x 2160. Display Port v1.4 is digital and supports a resolution of 3840 x 2160 and up to 7680×4320. The old VGA (Dsub) is an analog connection. 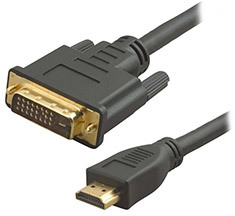 If your graphics card does not have a HDMI connector as above and you want to connect it to a TV then a DVI to HDMI cable (or convertor) will be required as below. 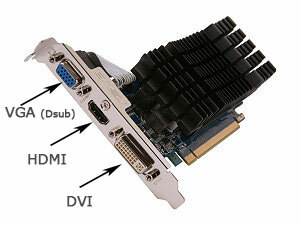 If you are trying to connect multiple HDMI monitors to a graphics card as below then you will need a DVI to HDMI cable as above.